The “invitation” systembench was especially developed for promoting interdisciplinary teamwork. 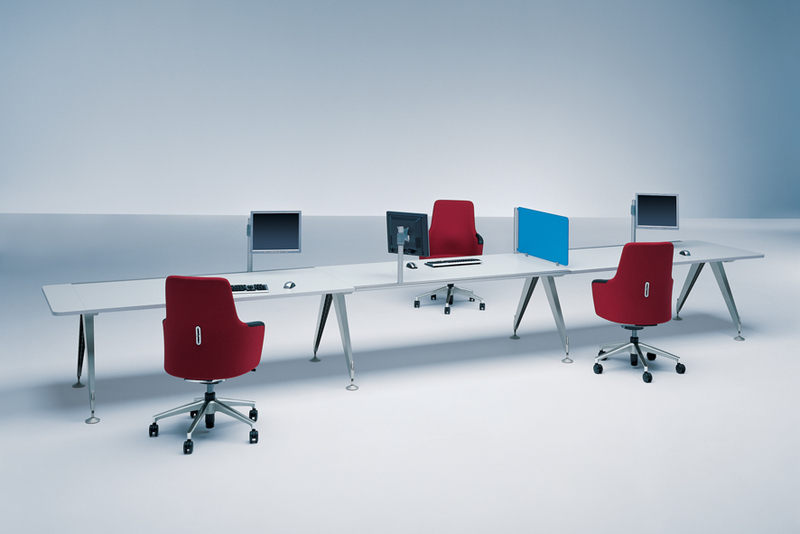 “invitation” consists of modular system elements with which individual, double or group workstations can be built. In the centre of the spacious desk landscape there is an innovative organisation level, to the function sections of which monitor swivel arms, task lamps, screening and sound-absorbing elements can be quickly fixed.